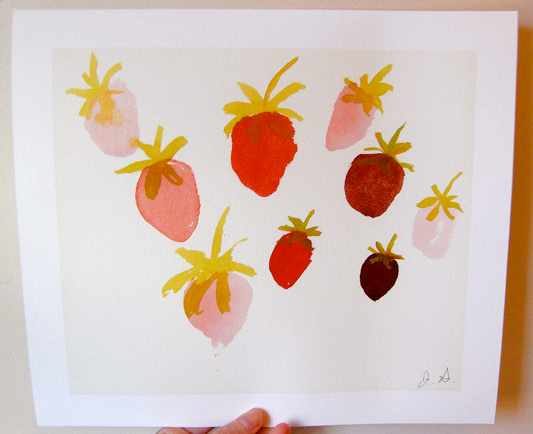 Jones from the blog, Loveliest Days, recently shared some of the beautiful art she was considering for her baby girl's nursery. 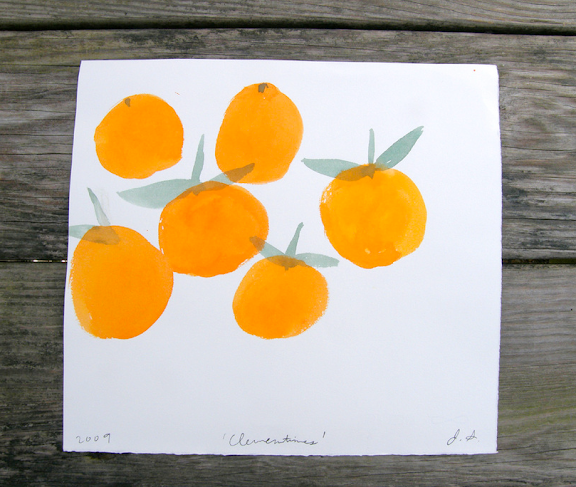 Like Jora, I instantly fell in love with these clementines (and strawberries!) by artist Jamie Shelman. Now I can't stop thinking about these perfectly not-so-perfect depictions of simple, delicious fruit! Oh my goodness! I adore the strawberries. Love them all. Chic and minimalist. I showed this to my daughter yesterday and she was inspired to create her own watercolor! Thank you!